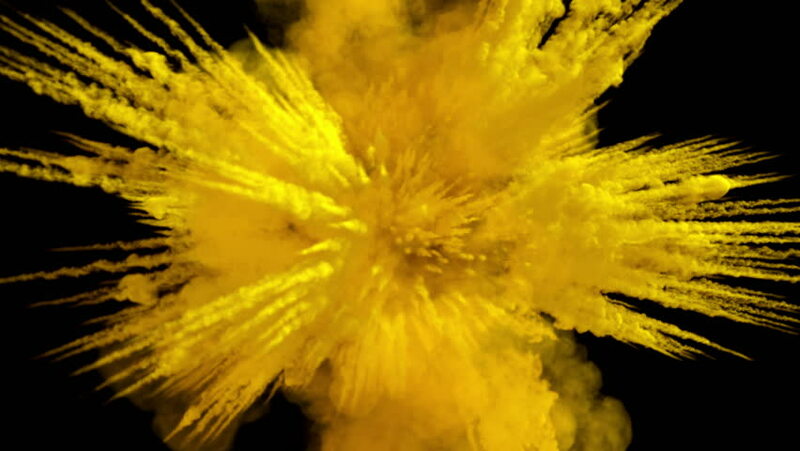 Colored middle size smoke explosion with trails, explodes on camera. Smoke density - low. Separated on pure black background, contains alpha channel.